Just like us pets require regular nail care to keep them comfortable. Nails that are too long can lead to discomfort walking, foot infections, broken pads and bleeding toes. Some pets may even be grumpy due to the pain. 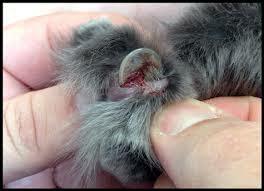 Check your pets feet weekly - especially dewclaws. Is there space between the pad and nail? 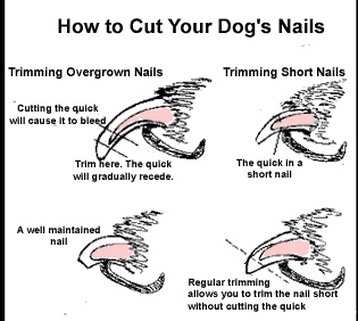 Trim nails every 4 to 8 weeks depending on pet and nail growth. Slower growing nails may get away with every 12 weeks but this is rare. FACT: Older pets require more foot TLC as they tend to be less active and groom less leading to ingrown toenails. Confidence comes with experience. We invite you to schedule a nail trimming demo with one of our Registered Veterinary Technologists to build your confidence. Learn the nail anatomy to know how to avoid the sensitive tissue of the nail. Light color nails are easier than dark nails, but even at the clinic we always start by taking the tips and then slowing trimming it back till we see we are in the right area. 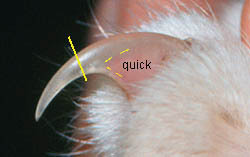 You can actually see a darker half moon at the tip of the cut nail which is your sign you have reached the optimal trim and to stop. 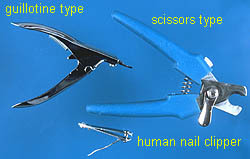 How Do I Know What Type of Nail Trimmers to Use? We use and recommend above all other the scissor style nail trimmers as they allow for you to better view the nail and see where you are cutting. When in doubt please always feel free to ask us or have us do it for you. 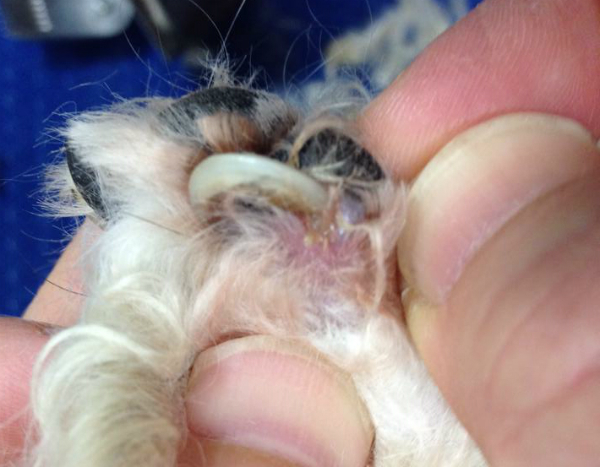 Regular nail trims are key to paw health for your pet.